Disney is often seen as a harmless, child-friendly entertainment industry for the whole family – then why is it that they have such terrifying villains and nightmarish scenes. Ever since Snow White, there have been some scary monsters ready to jump out of nowhere and terrify audiences. Below is a list of the ten most terrifying monsters to be drawn by Disney, proving that the happiest place on earth has a dark side. Davy Jones’ “pet,” the Kraken is a giant octopus/squid which will come at Davy Jones’ beckoning to exact the cursed captain’s wrath upon those who earn it. The Kraken is so awesome, that it is never fully shown in the films, only its giant tentacles, appearing from below, captured ships to rip the galleons apart and drag them to their watery doom. However, the Kraken turns out to be mortal, as it somehow turns up dead in the third film. How the heck did Cutler Beckett kill the giant beast? Another monster with tentacles, Ursula has even less screen time than the Kraken in her super form, but is more intimidating. Whilst the Kraken simply destroys ships, Ursula gains the power of the trident. After accidentally killing her own beloved minions, she snaps and takes full advantage of the trident’s powers to show her wrath to Ariel and Prince Eric. Growing to a giant size, Ursula uses the trident to manipulate the ocean and the weather, capable of summoning lightning bolts and create whirlpools – and all to kill one mermaid. Jafar is one crazy villain, and when he becomes the world’s most powerful sorcerer, he decides to fight Aladdin as a giant cobra. And boy does he become menacing. 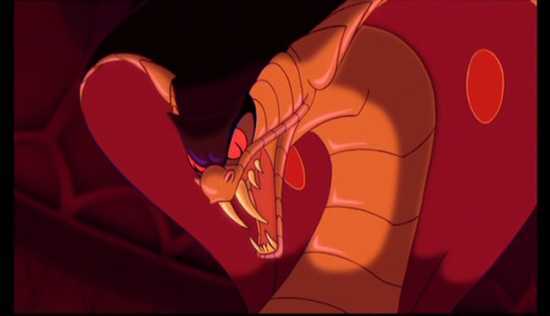 Truly showing Jafar’s true personality, this giant snake is more than a match for the sword-wielding Aladdin, and it’s only when he is fooled into wishing to become a genie does he actually get beaten by Aladdin. Return to Oz is filled with plenty of nightmare fuel – the Wheelers, Mombi and her many heads, the asylum scenes, etc. 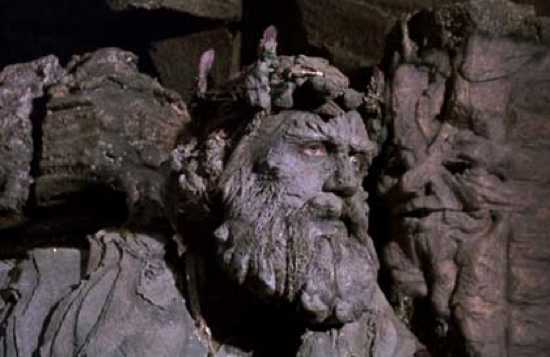 But the Nome King really takes the cake. He kidnaps the Scarecrow, petrifies everyone in the Emerald City and turns Dorothy Gale’s friends into lifeless ornaments one by one. While he is a charismatic and likable villain, when his plans are ruined he turns into a terrifying one-eyed golem, and tries to personally eat all of Dorothy’s friends. Practically everything about Pinocchio is terrifying, and the poor puppet boy has to go through hell to earn his humanity. The final obstacle is the giant whale named Monstro. He has such a reputation that endless fish flee for their lives, to escape the jaws of this giant insane whale. Heck, he’s so evil that he gets his own level in Kingdom Hearts. 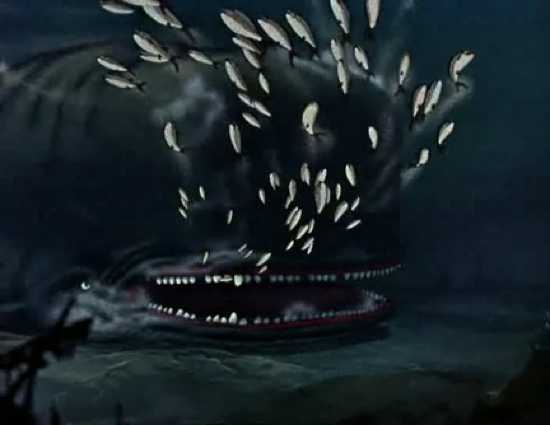 Monstro knows he is evil and when Pinocchio, Geppetto and Jiminy Cricket escape his innards, he goes ballistic and personally tries to kill them, but ends up jumping too high and is killed by a cliff. While the Jabberwock was intimidating with his big wings, ability to breathe lightning and being voiced by Christopher Lee, the Jubjub Bird is far more threatening. 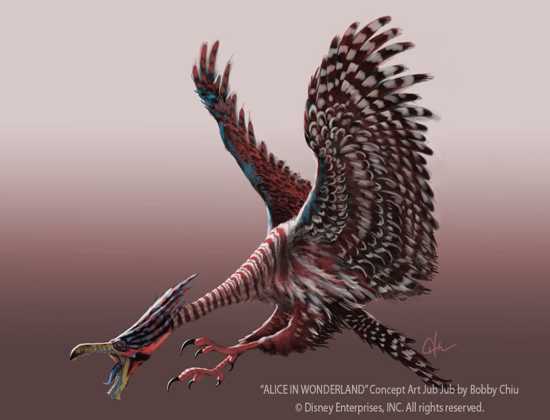 While wacky in appearance, the vicious, bloodthirsty Jubjub Bird works for the Red Queen to capture new victims to turn into her furniture. We never actually see how the Jubjub Bird kills its victims, but the very fact that it is locked up in a tower with a hood covering its face gives the hint this bird means business. Maleficent is one of the best villains created by Disney, and she’s awesome enough in her human form. But when she, literally, calls on the powers of hell to fight Prince Philip and the three good fairies, Maleficent transforms into a terrifying black and purple dragon. Relentless in her fight to kill Prince Philip, Maleficent is so mighty it takes the three good fairies to enchant Philip’s sword to personally kill the dragon. She can breathe fire, fly and her very appearance has scared kids for decades. Maleficent is one sorceress/dragon you don’t want to mess with. 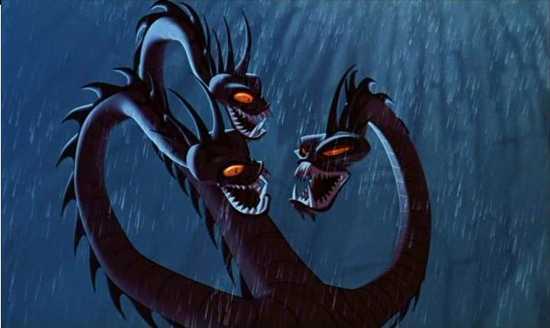 The Hydra is one of the most infamous creatures in Greek mythology, so it’s no surprise it appears in Disney’s Hercules. Introduced as a nightmarish one-headed reptile, the Hydra gets a rather graphic death, being decapitated from the inside-out by Hercules after it ate him, and we see its innards and green blood. And then, the Hydra gets up and sprouts a hundred or so new heads. Hercules tries to chop off the heads but more grow back, and Phil tells him to “forget the head-slicing thing,” and with good reason. The Hydra corners Hercules, and it takes an entire collapsing cliff face to finally do the great beast in. 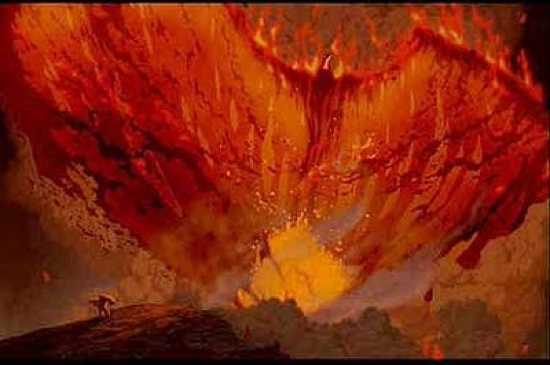 The Firebird is one of the most terrifying images ever produced by Disney, and with good reason. It is a bird made entirely out of fire, lava and burning destruction. Virtually a flying inferno, the Firebird brings fiery hell to the nature spirit in Fantasia 2000 who gets a little too curious for her own good when she finds her plant-making powers don’t affect a volcano. She finds the sleeping Firebird in the volcano’s crater, until it suddenly bursts to life and chases the nature spirit, making the volcano erupt and bringing a forest fire and a lava flow to obliterate the nature spirit’s lovely handiwork. The Firebird’s scene culminates when the nature spirit flees up a tree and the Firebird sneaks up on her and towers over her in all its amazing artistic glory. All we see is the spirit’s terrified expression, and the Firebird bomb-diving her before he vanishes without a trace. The Firebird is like the grouchy old man who comes after intruders with a shotgun and shouts “Stay off my land!” – But made out of fire. Apparently meant to be the Devil himself, Chernabog is quite menacing to behold. Huge wings, horns and eyes made of fire, he oozes evil. Appearing in Night on Bald Mountain, Chernabog shows his evil powers by resurrecting a bunch of ghosts and demons, and kills them just so he can resurrect them again to repeat the cycle. The segment’s theme is incredibly popular and well-known, sometimes even used as background music for media completely unrelated to Disney and Fantasia. 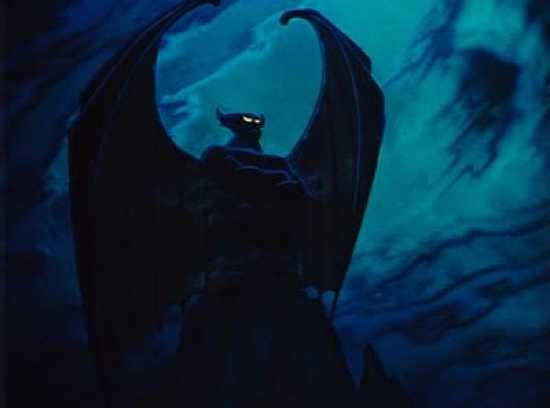 Chernabog’s terrifying image has been downplayed a couple of times, such as on the House of Mouse, and even Michael Eisner sticks to the demon. Chernabog even makes a surprise appearance in Kingdom Hearts as a boss fight, virtually recreating his role in Fantasia, minus the spirits. You know Disney means business when they animate such terrifying creatures as Chernabog and the Firebird – and everyone thinks they’re kid friendly!